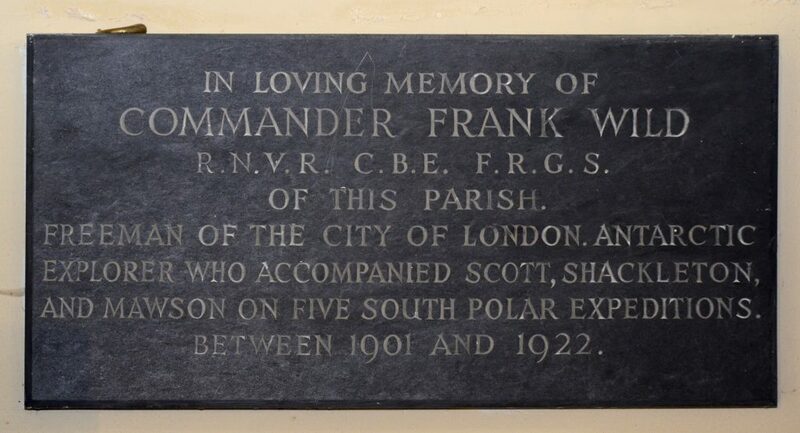 This plaque is in the tower entrance to Eversholt Church. Click for the full-resolution version. Commander Frank Wild R.N.V.R C.B.E. F.R.G.S. Freeman of the City of London. Antarctic explorer who accompanied Scott, Shackleton and Mawson on five South Polar expeditions. Between 1901 and 1922. For photo information and image reuse, please see this page.